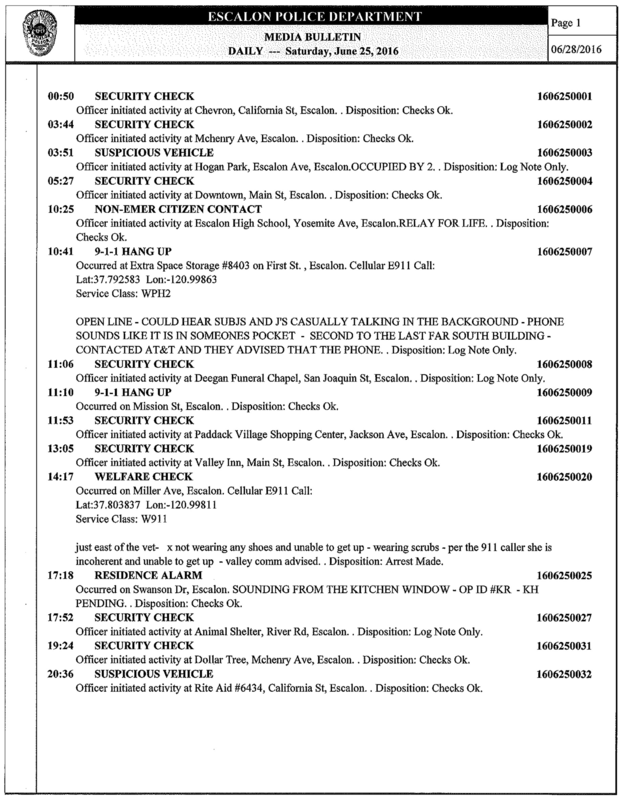 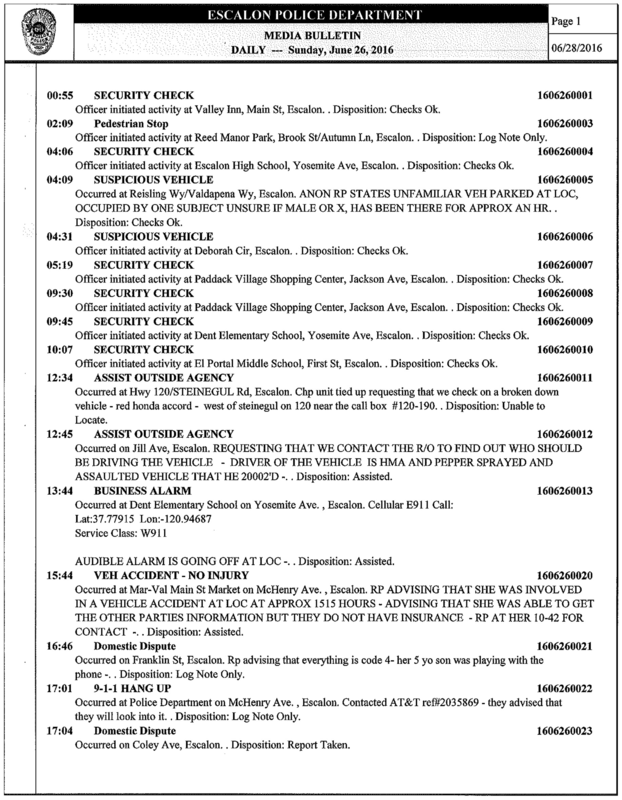 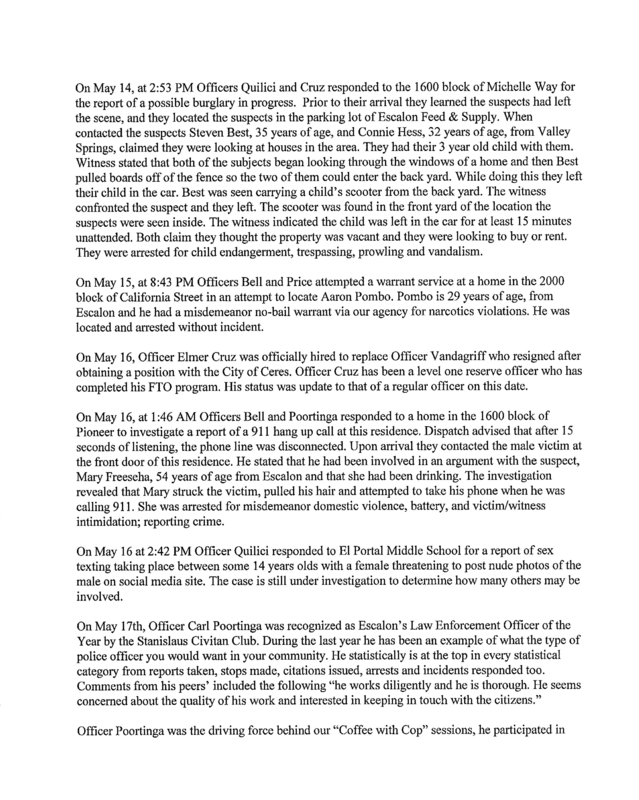 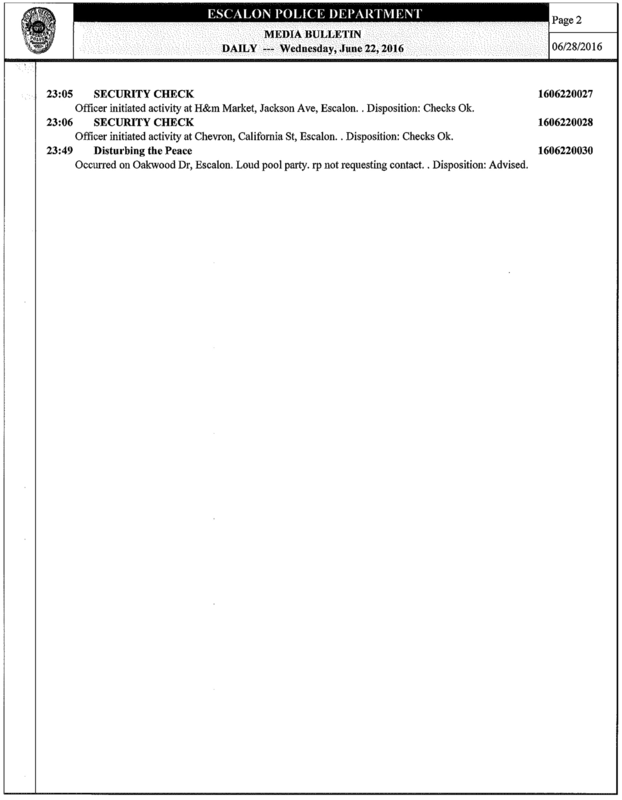 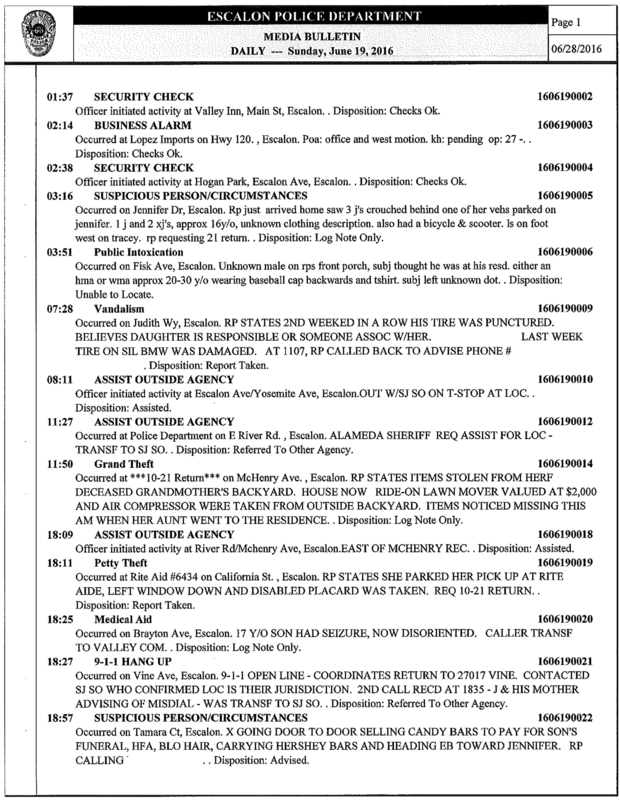 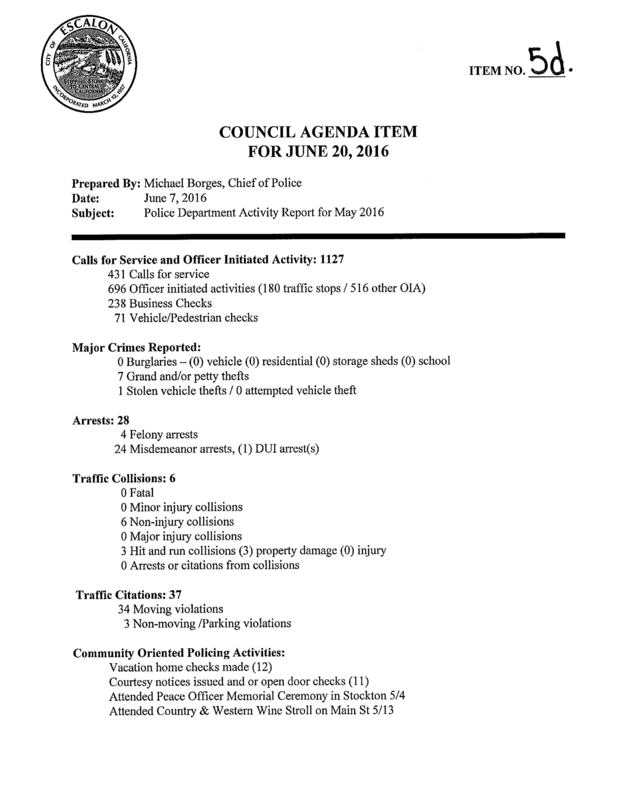 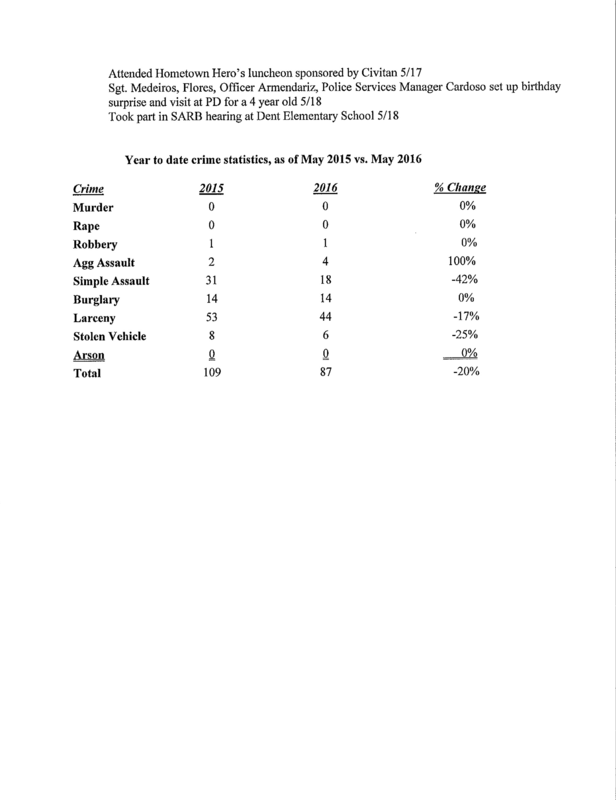 ESCALON POLICE LOG FOR 06/18/16 – 06/28/16 AND POLICE ACTIVITY REPORT FOR MAY 2016, PRESENTED AT JUNE 20TH COUNCIL MEETING. 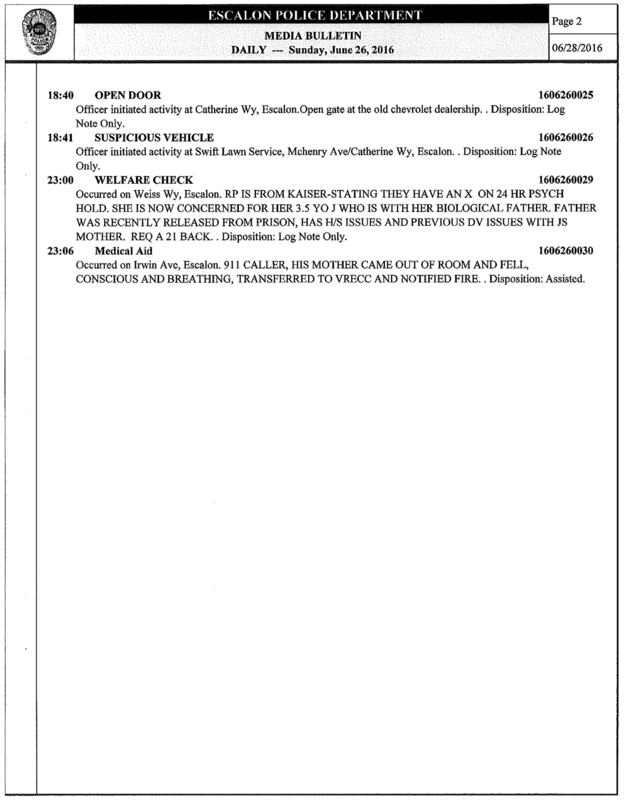 Previous Previous post: DRIVER LEFT UNCONSCIOUS AFTER CRASHING INTO POWER POLE. 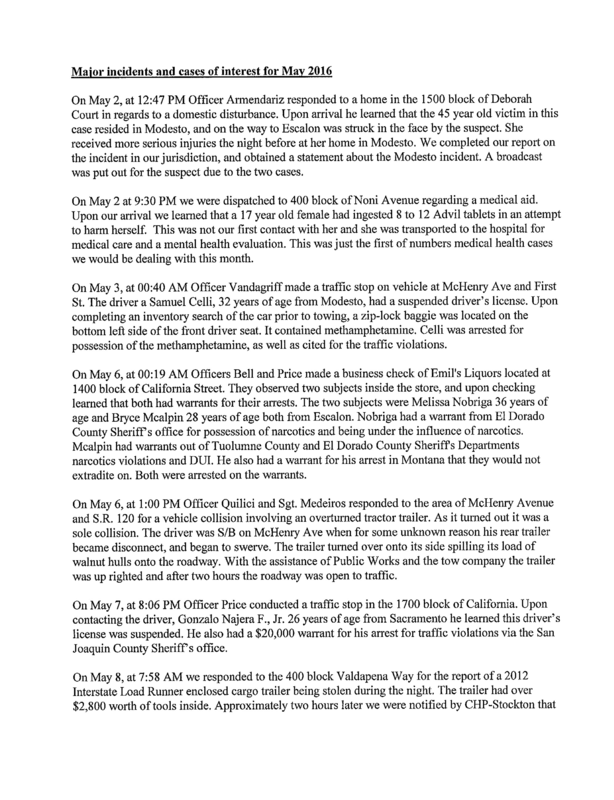 Next Next post: VAN VS. P&L SEMI TRUCK ON ESCALON BELLOTA ROAD AT MARIPOSA ROAD. 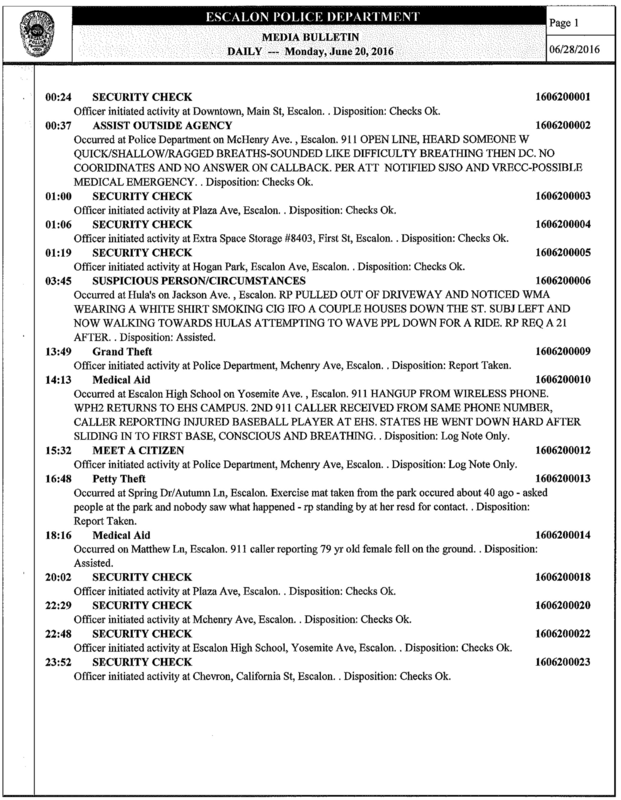 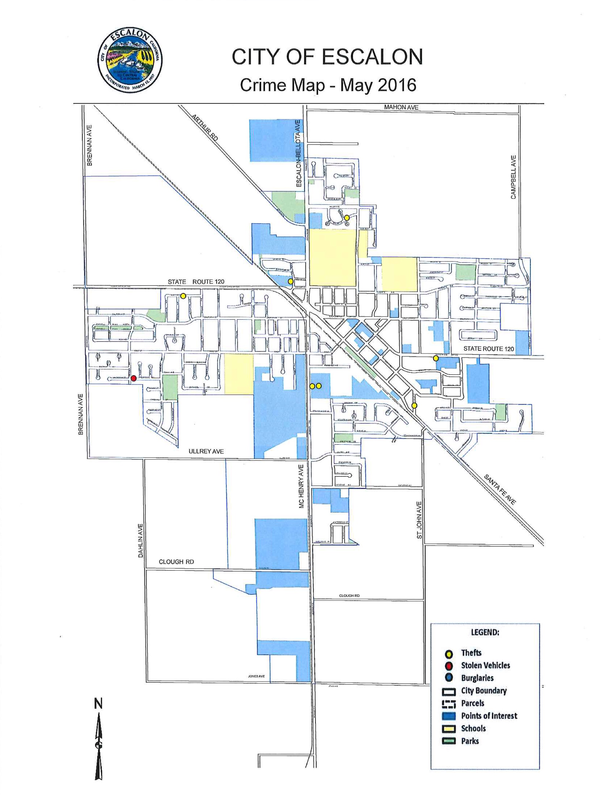 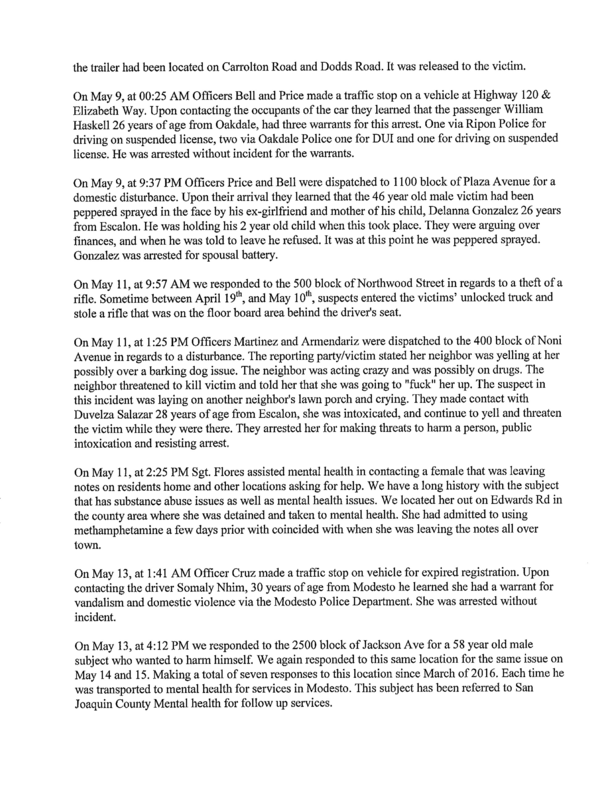 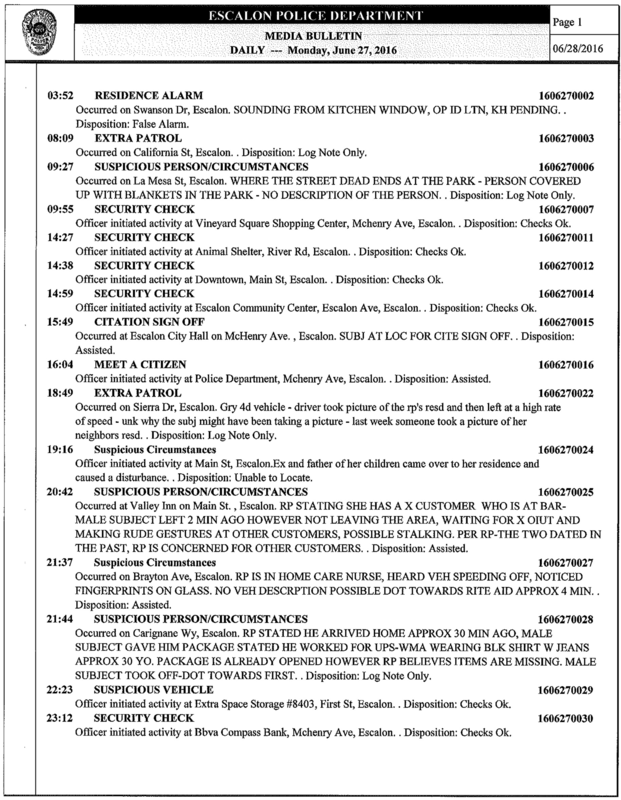 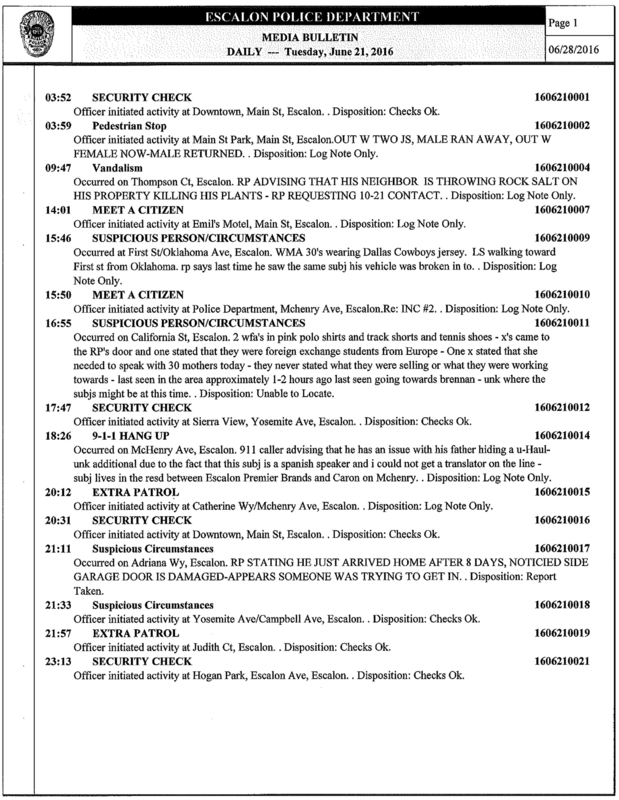 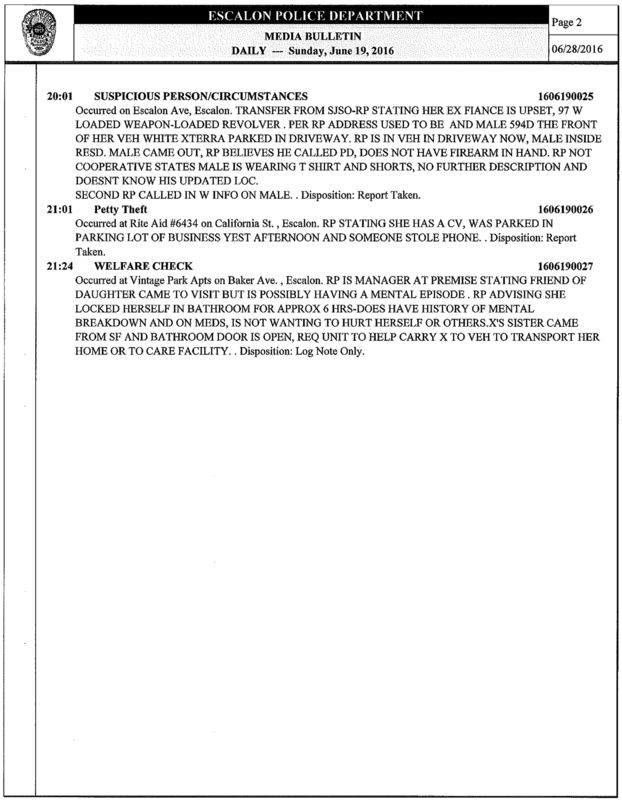 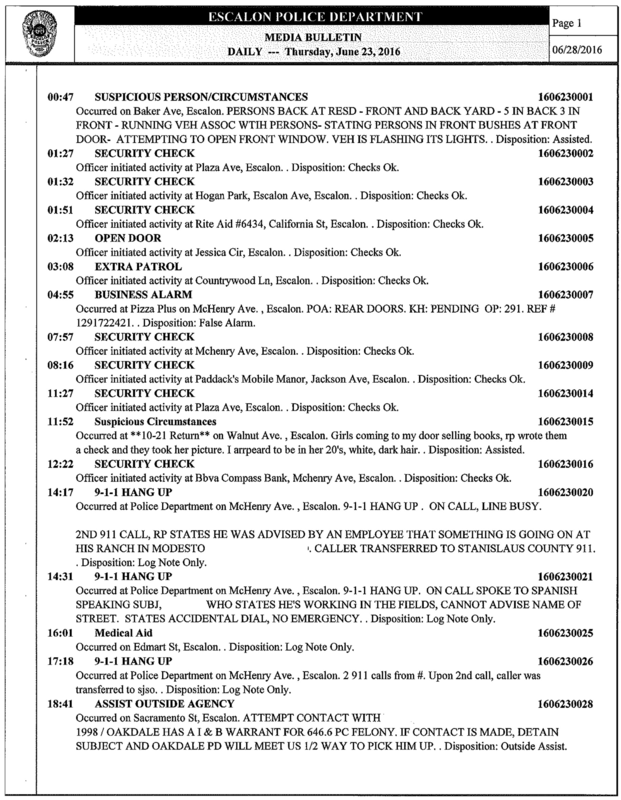 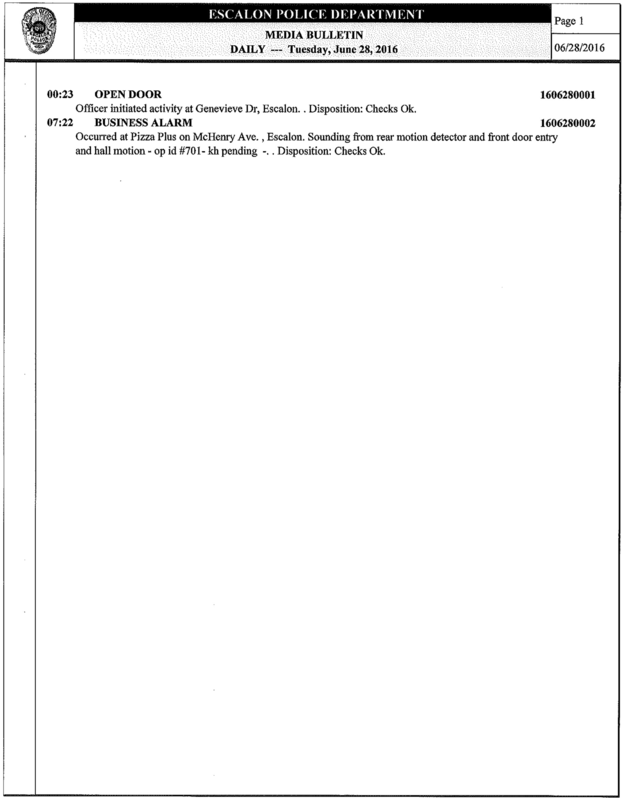 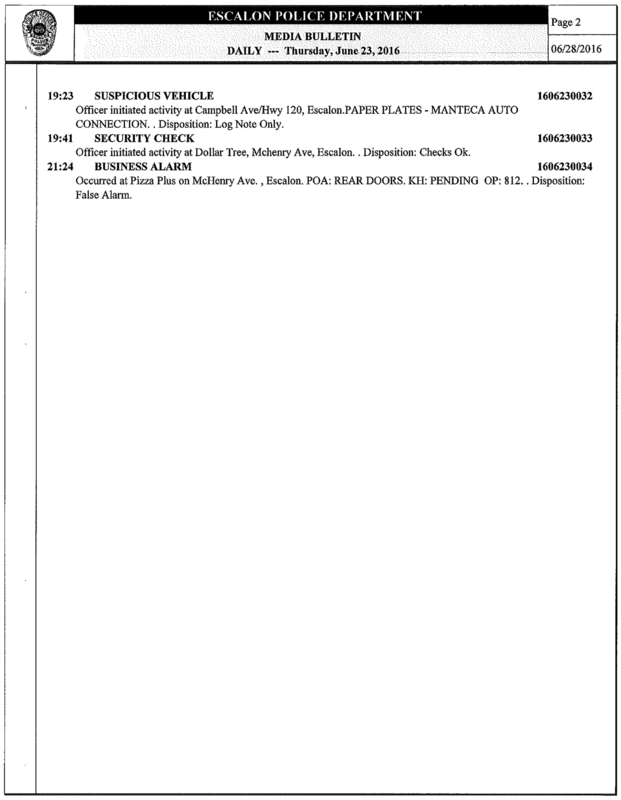 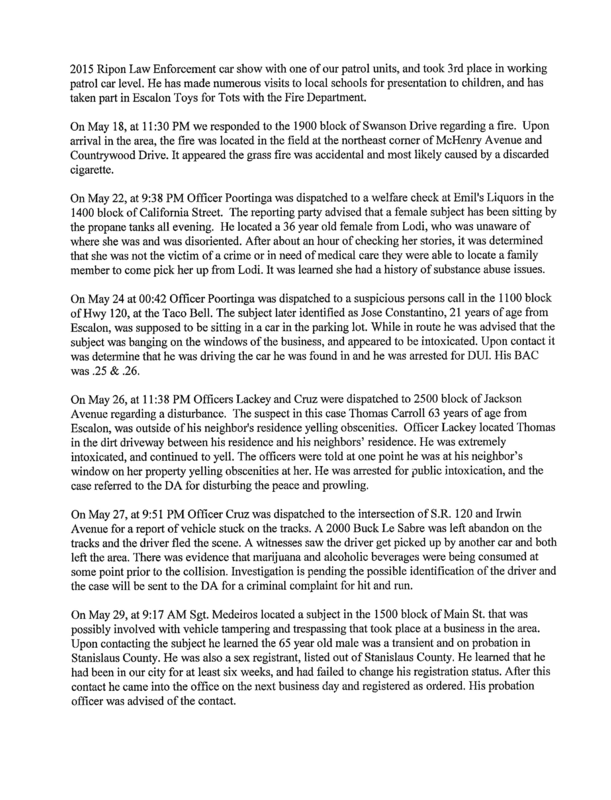 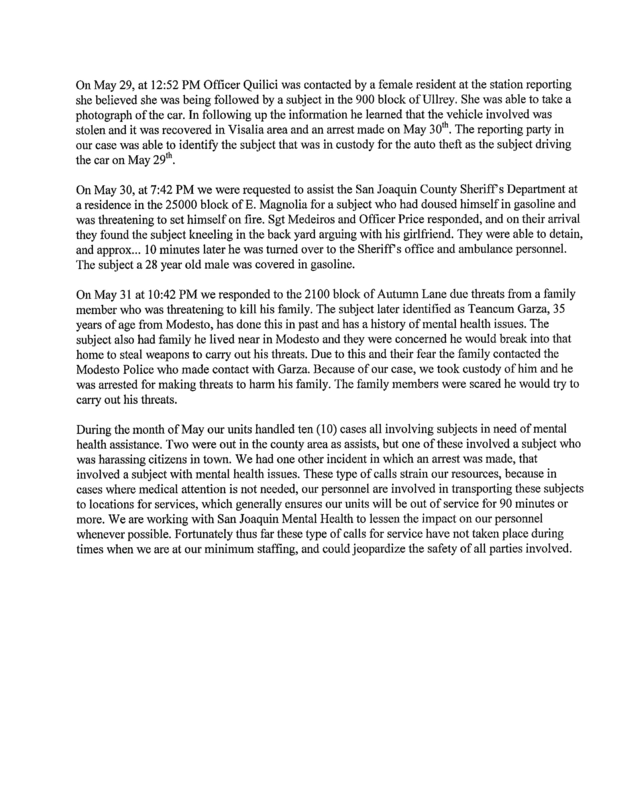 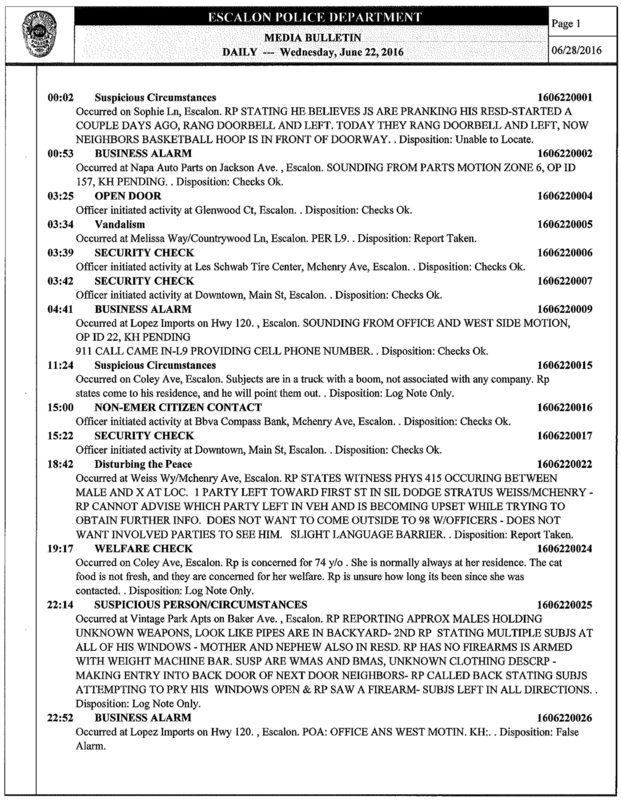 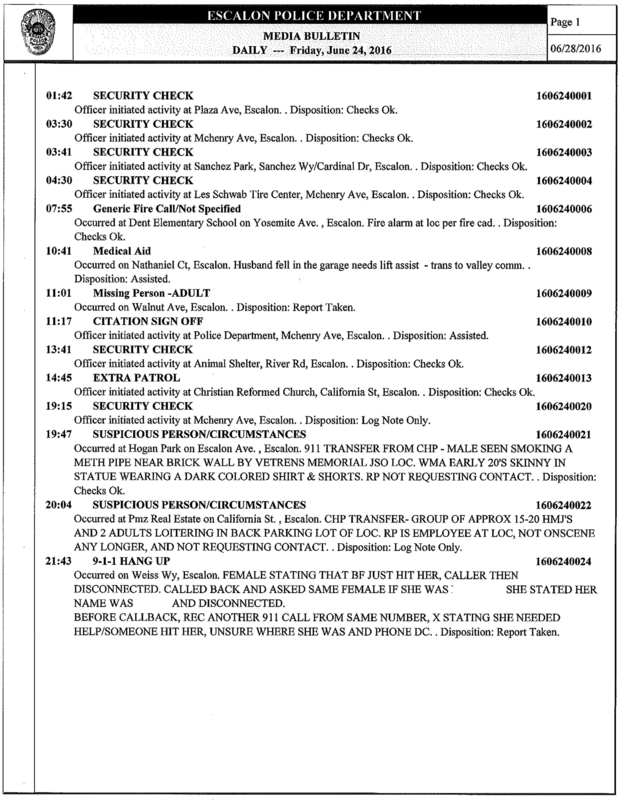 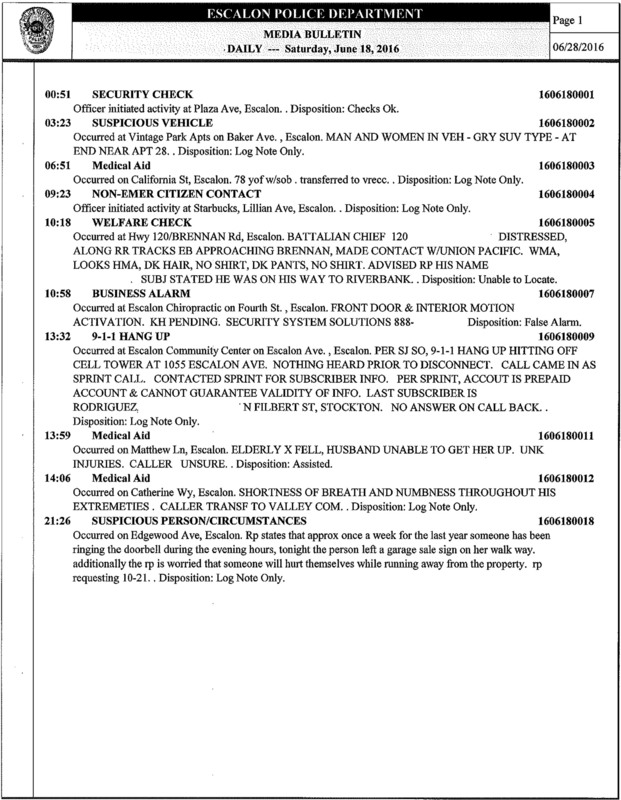 WeEscalon ESCALON POLICE LOG FOR 06/18/16 – 06/28/16 AND POLICE ACTIVITY REPORT FOR MAY 2016, PRESENTED AT JUNE 20TH COUNCIL MEETING.